Since 1868, the Winecup Gamble Ranch has been one of the defining ranches of the Great Basin area. Cattle were first brought here by John Sparks, who would become governor of Nevada. After Sparks’ death, the Utah Construction Company purchased the ranch. 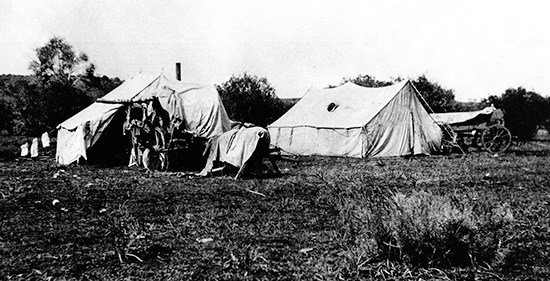 For the next 37 years, the company ran the ranch under the UC brand employing as many as 239 people in 1910 to keep the vast operation in working order. 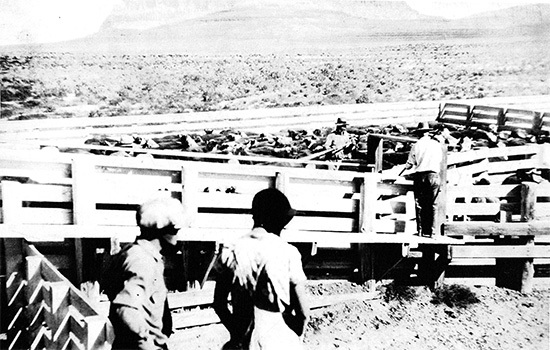 In addition to its purpose as a livestock operation, Utah Construction Company also used the ranch as collateral for notable projects such as the Hoover Dam and Alaska Highway. Today, the Winecup Gamble Ranch represents approximately one-third (nearly 952,000 acres) of this once vast three-million-acre empire. 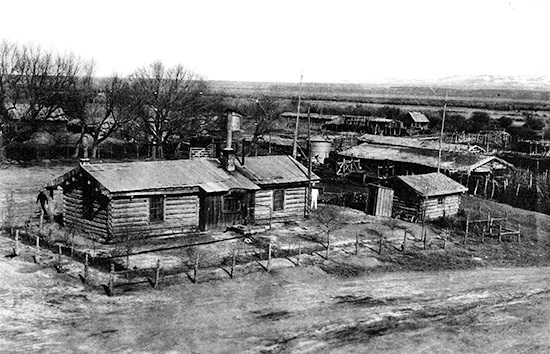 The Winecup Gamble Ranch would enter a new era in 1945 with its sale to Russell Wilkins and Martin Wunderlich. The two men went on to divide the ranch, splitting it down the middle into two parts with Wilkins taking the Winecup (west) side and Wunderlich the Gamble (east) side. After Wilkins’ death in 1953, the Winecup changed hands with its sale to actor Jimmy Stewart. Stewart would only own the ranch for a brief period, but nonetheless was still well known in the Great Basin Area. In 1957, the Winecup and Gamble ranches were reunited by Bud Stewart who was deeply involved in cattle operations. During his ownership, Crittenden Reservoir – now considered a premier trout fishery – was built to provide a reliable source of irrigation water to the ranch. Come 1962, the Winecup Gamble Ranch would again be divided when Stewart sold the ranch. Over the years which followed, the two ranches would have several more owners, yet remained active and successful cattle operations during this period. Today, the Winecup Gamble Ranch continues its legacy as a producer of quality cattle and responsible land steward. Under the care of a diversified and collaborative management team, the ranch has enjoyed a renaissance and return to its place as one of the last great ranches of the American West with highly respected cattle operations, vast natural resources, big game hunting opportunities, and efforts in habitat conservation.